We get a lot of queries regarding PDFOne .NET deployment such as the one below. What are the requirements for deploying the pdfone to my web server? Are there any other files than the two .dll files [DevelopDotNet.Compression.dll and Gnostice.PDFOne.dll] required? Well, there is one - the licenses.licx file. 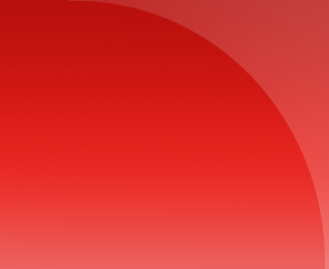 In this article, we will learn more about this file and why it is important in the deployment of your PDFOne .NET applications. Drag-and-drop the PDFDocument component from toolbox to a form in Visual Studio. A popup will open and prompt for the license key. Use the license key as an argument to a PDFDocument object constructor. 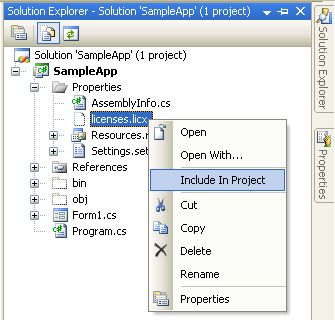 Provide the key in the popup presented by the DLL at run-time. The last two methods are good only for development. For deployment, we suggest the first method. Why? The other two methods create a file called Gnostice.PDFOne.PDFDocument.lic that contains your unencrypted license key! 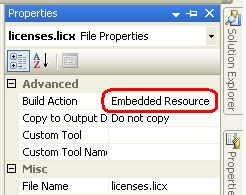 The next thing to ensure in deployment is to include the licenses.licx in your project as an "embedded resource." 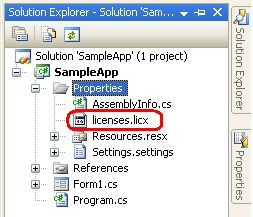 For this, right-click the licenses.licx in Solutions Explorer and select Include In Project on the context menu. 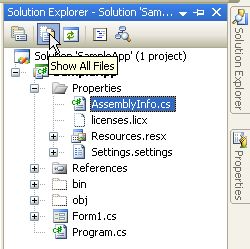 Next, select the file and change the Build Action property in the Properties panel to Embedded Resource. DO NOT DISTRIBUTE the Gnostice.PDFOne.PDFDocument.lic file under any circumstance.